Over the last few years, the flipped classroom, also known as the inverted classroom, has become the biggest trend in education. However, recent research indicates that flipped learning is a trend that’s here to stay. The flipped classroom is a teaching strategy in which the traditional class format is turned on its head. This inverted model “flips” the traditional order of class activities so that school work is done at home, and “homework” is done at school. In flipped classes, students review lecture materials prior to class, reserving in-class time for teacher-guided activities that allow students to put the lecture materials into practice. Activities can include in-depth discussion, labs, debates, problem-solving, or just open time for individual assignments — all with the added benefit of having the teacher nearby to help when questions arise. Results from this new approach to teaching have been promising. Scott Freeman, a University of Washington professor, was able to reduce the failure rate in his gateway biology course from 17% to 4%, and the number of students performing at an A level increased from 14% to 24%. And instructors at the University of British Columbia found that student attendance in their experimental flipped sections increased by 20%, and engagement increased by 40%. In addition to favorable anecdotal evidence, additional studies of the flipped teaching method have produced positive results. 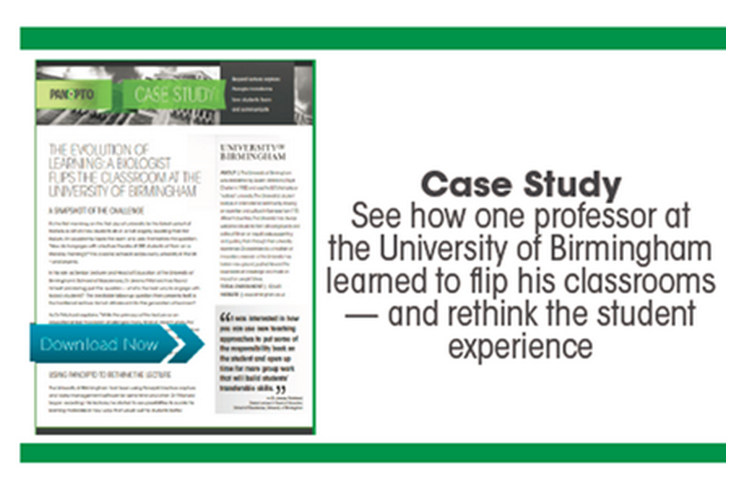 In February 2014, The Flipped Learning Network and Sophia.org conducted one of the most comprehensive studies about the flipped classroom to date, surveying over 2,300 flipped educators about their experience. Nearly half of the teachers in the survey have been teaching for over 16 years, a clear sign that flipped classrooms have moved beyond an experimental teaching method and have become accepted as a proven pedagogy. 71% of teachers researched indicated that grades have improved from flipping classes, up from 67% just two years prior. Best yet? 96% of teachers who have flipped their classes would recommend the method to other teachers. Teachers are seeing the promise in flipped learning, and are actively inspiring their colleagues to make the flip as well. Video is a core component of the flipped learning model, enabling teachers to get the most out of this new style. According to the above study, 77% of teachers are flipping their classes using videos that they create, and 52% are using videos created by other teachers. The ease at which teachers are able to create flipped class content is one of the primary reasons that this new teaching model has grown so quickly. For many first-time flippers, those videos will be individually produced and managed, often leveraging free tools like YouTube to assist with hosting and sharing videos. For schools and universities that have already discovered the value of flipping more specialized eLearning technologies can make using video in the flipped classroom even easier. Modern educational video platforms like ours at Panopto enable teachers to easily create and share video lectures without the need for expensive, specialized recording equipment or a ton of technical expertise. With as little as a laptop and its onboard webcam, teachers can create professional-quality videos that engage their students and sets the scene for a dynamic classroom learning environment. Panopto does the rest — transcoding the video to ensure it will be playable anytime, anywhere, on any device, indexing every word spoken and shown onscreen in the recording to enable students to search for specific moments to review and study, and making sharing as easy as adding an email address. The flipped classroom has the potential to open up class time and encourage interactive learning in a way never before possible. For many classes, that interactivity creates the chance to go beyond the text — and really engage students with the material. Panopto makes flipping the classroom easy, with flexible video presentation software that educators can use to record lectures and presentations anytime, anywhere, from any device, and share them instantly in a secure, searchable video library. 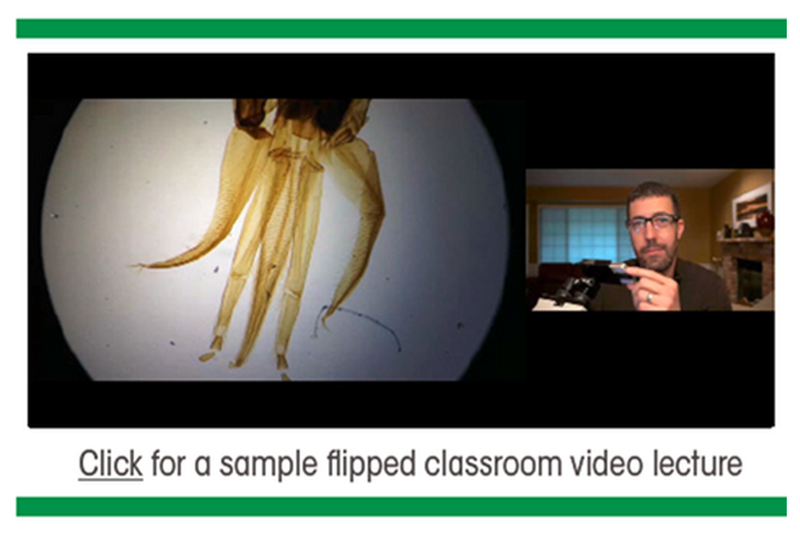 Ready to try flipping your classroom with video? Contact our team for a free 30 day trial of Panopto today.